Every person, man or woman has been put in a position to be either the game player or the one to be played, no one likes or is willing to admit the latter. That is until now. Once again, DeVante Myles the newcomer from Brooklyn, New York keeps with the same theme of circus games and unusual antics as he delivers the visual for his latest track. His release of “Those Games” touches on the everyday bs most 20 somethings deal with in their relationships. Myles does steer away from his usual lyrical flow and gives us rhythm & rap parallel to the early days of Chris Brown but, we are blessed with a sneak peek on what is yet to come at the end of the visual. 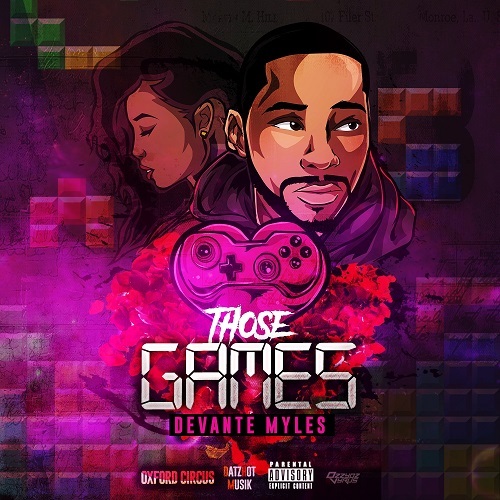 “Those Games” is the first single off of his second project “Sweet Nothings” due out early 2019. Of course, no DeVante Myles release would be the same without making a stop at his infamous Oxford Circus. The dance battles, flashing lights, intimate setting, and urban underground vibes are the perfect match to the visual of this all too relatable song. Watch the video for “Those Games”, subscribe, and follow on all social media channels.